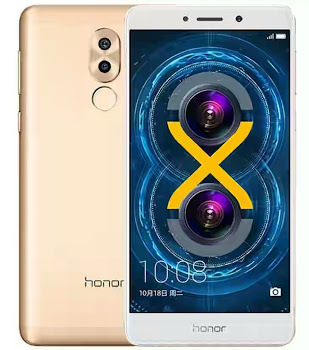 Honor 6X smartphone is dual camera phone which spots a 5.5-inch 1080p display on the front with a 2.5D curved glass. The device run on a new Kirin 655 SoC with octa-core CPU (4 x 2.1GHz + 4 x 1.7GHz Cortex-A53) and Mali T830-MP2 GPU, with variants of 3GB or 4GB RAM on the 32GB model and 4GB RAM on the 64GB model, with microSD support. Honor 6X was built to also supports 4G VoLTE as well as fingerprint sensor and hybrid SIM slot. The battery capacity of the device is 3340mAh and is such that has a fast charging technology and many more features which is present below. √ The Review Of Huawei Honor Holly 3 With Specifications and Price.